Telemark Filter, Filter module for modular synthesizer from Analogue Solutions. Analogue Solutions extracted the filter section from its Telemark semi-modular synth and offers it in Eurorack format. 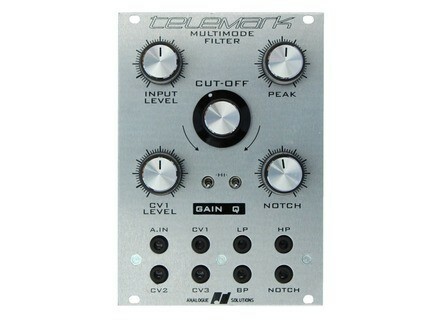 The Oberheim SEM-based Telemark Filter is fully analogue and features a multimode filter with high-pass, band-pass, low-pass and notch outputs with a 12dB/octave slope. The Notch filter has its own knob for more sound variations. 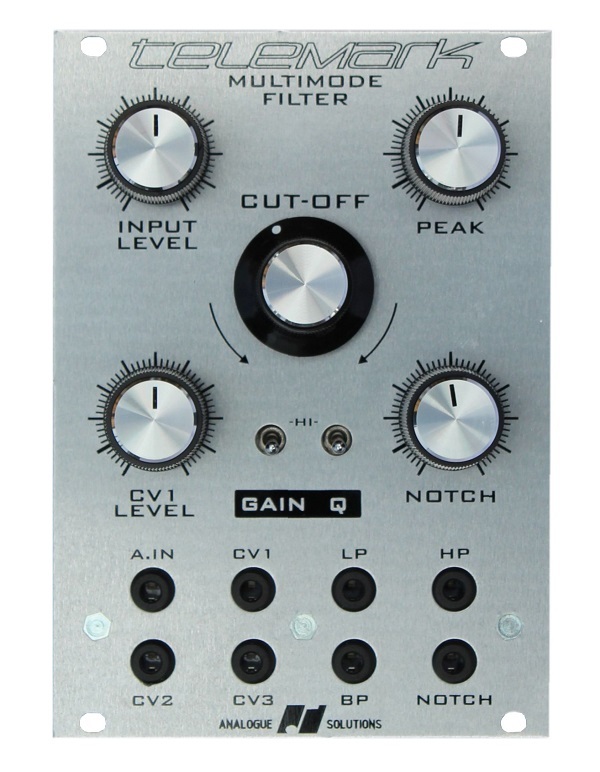 You’ll also find on the Eurorack module knobs for the input level, peak, filter cut-off and CV1 level (3 CVs are available), as well as gain and Q (resonance boost) switches. The Telemark Filter has a price of £199. More info at www.analoguesolutions.org.uk. The Elektron Octatrack is back in stocks Elektron announces the return of its Octatrack sequencer/sampler with a new OS and a free expansion pack. The MiniBrute SE on sale until the end of the year Arturia lowers the price of its MiniBrute Special Edition analog synthesizer until December 31st. New colored Arturia MicroBrute SE synths Arturia launched a special edition of its MicroBrute analog synth with a choice of three bright colors.